Edward Griffiths is a fourth generation machinist/designer/builder. With 35 years of experience under his belt, Edward has taken the family tradition to a higher level by stepping out into his own manufacturing firm, building specialized parts to his clients' custom specifications. G.M.I. is based in the San Diego area. 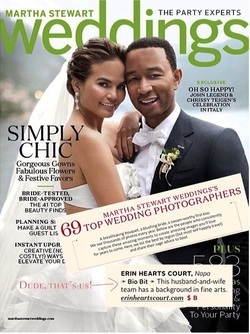 Wedding photographers extraordinaire, James Erin and Courtney de Jauregui were recently featured among the 69 Top Wedding Photographers by Martha Stewart Weddings magazine. For more information and to view their work, visit Erin and Courtney at their website: ErinHeartsCourt. Terrence (at left) began playing for the West Sound Warriors in the 2013-2014 season. After spending his first few years playing roller hockey as both a defenseman and goalie, for in-house and school leagues, and the NorCal Extreme traveling team, he relocated to Oregon with his mother to pursue his dreams of playing ice hockey at a higher level. Mentioned in USA Junior Hockey Magazine, Terrence is progressing well in his hockey goals, thanks to the mentoring of Jay Miller and his coaches in Bremerton, WA. "'Terrence came to camp having played one year out of net (and in a house league). He was extremely raw and under-skilled, but he was coachable. Right now he is playing the most consistent hockey on my blue line,' said Miller." With the 2014-2015 season, Terrence returns to the West Sound Warriors as a defenseman. With two wins, one in a shootout that kept Mom on the edge of her seat, the Warriors are looking pretty darn good. 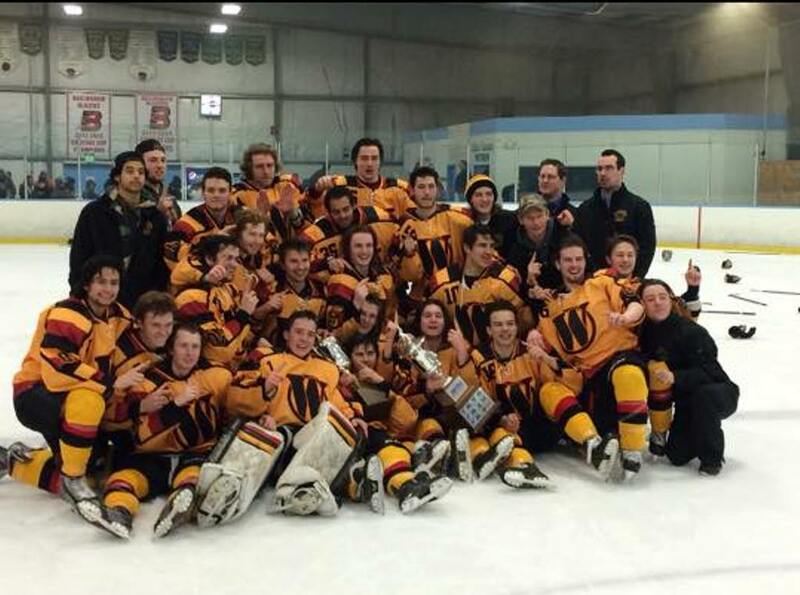 And in the grand finale of the 2014-2015, the West Sound Warriors won their division (see picture below) and went on to the Nationals in Connecticut. Now, they only won one game, but that's pretty darn good when they're playing teams from the East Coast. As T said, "We played good, but they are FAST!" If you're interested in the team's schedule, you can see it here, and watch them on a pay-per-view site FASTHockey.